If you have every used the internet, which is all of you if you are reading this, then you are well aware of the abundance of Windows Cleaning/Speed Up Apps. They go by various names and they all aim to speed up a computer. Many have fallen victim to these apps that inform the user that there are 10 billion (or more) errors on their computer. They usually come across as some form of free program that will “check your PC for errors” and charge an outrageous amount of fix the 10 billion errors that they find. You already have an anti-virus installed? Do these PC Cleaning applications actually work? Are they even necessary? Countless times, people have downloaded these programs and got spooked into thinking there computer was under attack. They shell out the $50 and hope that their slow computer will be magically cured? Sure, it may run a tad bit faster, but it is more placebo effect than actuality. These programs keep track of every little system inconsistency to determine what is considered a junk file. These include, but are not limited to: history and browser cookies, temporary internet files, bad registry files (which may not have a negative effect on performance), and hard drive “issues”. The good news is that Windows already has a built-in utility that acts as one of these cleaning agents. There are two to keep in mind that will perform wonders, especially on older machines. Disk Defragmenter- Will fix fragmented sections on the HDD and greatly speed up system speed and efficiency on older machines (prior to Windows 7). 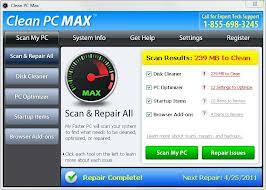 Disk Cleanup- Will delete temporary files and bad registry files that lurk on the system and clog up the main drive. The next time you see a commercial advertising these programs simply ignore it and use Windows built-in utility. They can work wonders. If not, contact a computer repair technician who can help speed up your computer professionally without the risk of malware attached!